If you’re looking for best in class, shop our men’s GORE-TEX® jackets. The proven waterproof construction of our men’s GORE-TEX® jackets locks rain out with ruthless efficiency, providing highly effective coverage that’s more than a match for the worst of the weather. 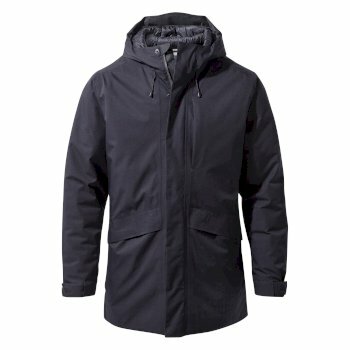 Browse our collection of men’s waterproof rain jackets online. Cleverly engineered with high performance technology, our range of men’s GORE-TEX® jackets provides great coverage for those adventures in the rain. GORE-TEX® fabric is designed with your active outdoor lifestyle in mind. The unique construction of the fabric used in our selection of men’s GORE-TEX® jackets is the key to keeping you protected. With innovative characteristics and a microporous structure, you can rely on your men’s waterproof hiking jacket to lock out wind and let the rain to roll right off. 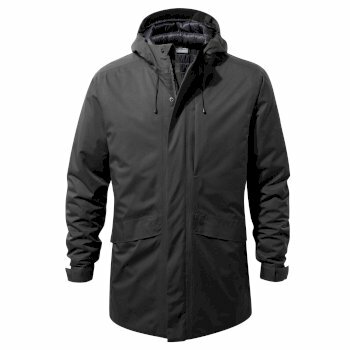 Even as your jacket keeps out driving wind and rain, it doesn’t scrimp on breathability. Any perspiration escapes your jacket, meaning you remain comfortable, dry and protected as you take to the trail. So, you can feel confident in any weather, in your men’s waterproof rain jacket. There’s no such thing as unbearable weather in a GORE-TEX® jacket from Craghoppers. Shop our range of men’s GORE-TEX® jackets, or check out our complete range of men's Jackets for lightweight, windproof and insulated alternatives.